Updated 5:14 p.m. ET with President Obama’s remarks | The United States and European forces attacked Libyan air defense systems along that country’s Northern coast Saturday in an effort to enforce a no-fly zone and prevent the Libyan regime from further attacks on its own citizens and opposition groups. At the Pentagon Saturday, a senior military official briefing reporters on background said U.S. forces would lead an international coalition, providing command and control, and other unique military capabilities such as cruise missiles and electronic attacks. The official said in the coming days the U.S. would transition command and control to others in the coalition, although the U.S. would continue to provide unique military capabilities that other countries in the coalition lack. At this point, the Pentagon official said, the other countries in the coalition were France, Italy, the United Kingdom and Canada, and that they expected some Arab countries to join in the coming days. When asked if the Libyan regime leadership was a target, the senior military official declined to answer. However, Libyan ground forces could be attacked by the U.S. because they were around the air-defense system, the official said. Officials did not say if U.S. aircraft were involved in the operation. French officials reported their planes had been involved in an attack. The senior defense official also said the operation, called Odyssey Dawn*, was being lead by Gen. Carter Ham, the commander of U.S. Africa Command. He said the U.S. will contribute its “unique capabilities at the front end,” but did not specify what that meant. “In this effort, the United States is acting with a broad coalition” that is committed to enforcing the U.N. Security Council resolution that called for protecting the Libyan people. The president reiterated that the U.S. will not send in ground troops. Obama said he had given Muammar Gaddafi the chance to avoid this outcome. “Despite the hollow words of his government, he has ignored that opportunity,” Obama said. “His attacks on his own people have continued, his forces have been on the move and the danger faced by the people of Libya has grown,” he told reporters. “We must be clear, actions have consequences and the writ of the international community must be enforced,” he said. 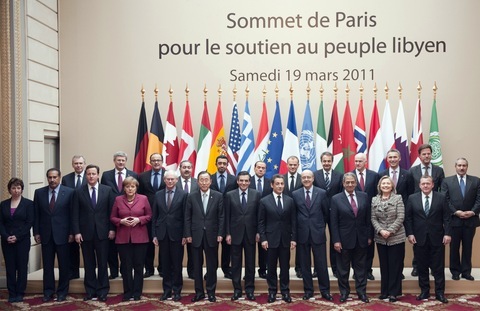 World leaders met in Paris Saturday to decide on military action in Libya. 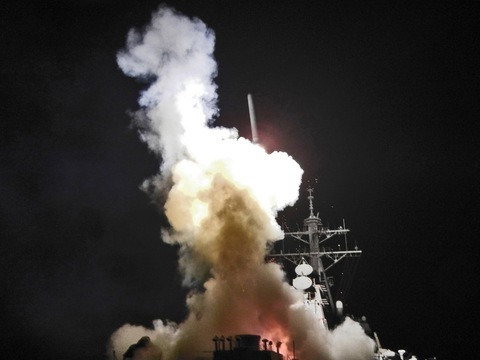 Read our earlier post on the decision by world powers to launch military action against Libya. 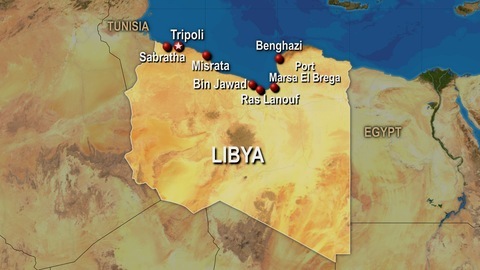 Several news organizations are tracking developments in Libya. Among them, Al Jazeera English has a live blog; BBC News has a live blog and news stream; the Telegraph has a live blog; and The New York Times is tracking events, with features like this interactive map of the Libya rebellion. James Foley of GlobalPost filed the following video report from Benghazi as rebels were grabbing knives, grenades and guns to battle Gadhafi forces encroaching on the city. We’ll have more on the Rundown as events warrant and more analysis of all these developments on Monday’s PBS NewsHour. *An earlier version of this post had the incorrect name of the military mission as “Audacity Dawn.” This version has been corrected. View all of our international coverage on World and follow us on Twitter.